BMW has officially denied the existence or development of a 600cc sportsbike to run alongside the all-conquering S1000RR released this year. The denial has come about after it emerged that BMW owns the internet domain name www.s600rr.de but clarification from BMW claims this was done to protect the rights to the name because someone else was trying to use it in Germany. MCN reported that BMW did have some thoughts about developing a 600cc supersports bike back in 2008 but this was later put on the back burner by the German firm which has publicly stated it will only be developing bikes in markets it has no presence in already and that can make profit. 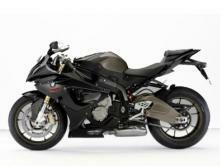 n official statement from BMW in Germany says: “Developing a 600 supersport bike is more or less as expensive as a 1000cc superbike; the production costs aren’t very much lower but the retail price would be. "Therefore, trying to recoup development cost for such a project would be much more difficult.